Runni ng and the broader sport of athletics is a really healthy exercise which benefits individuals and our communities. We want everybody to enjoy this activity in the way that thousands in our district already do. You will find many ways to take part – whether you’re a complete beginner or you want enhanced training programmes. From school children to college students through to veteran runners, from individualised training plans to training in neighbourhood groups or clubs. 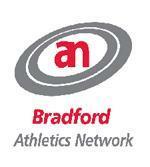 Developing running and athletics in Bradford and the West Riding of Yorkshire - read about us here! Read about local athletics news published in the Telegraph & Argus and other West Yorkshire papers. Bradford City Runs, EA Bradford 10K and other events. Cross-country, SportsHall, track & field, and road running.